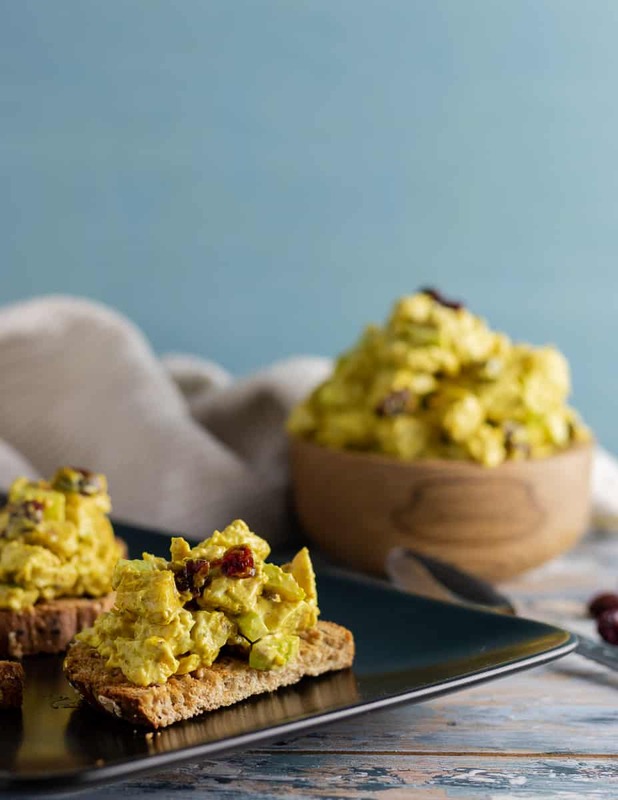 Curry chicken salad is a treat! 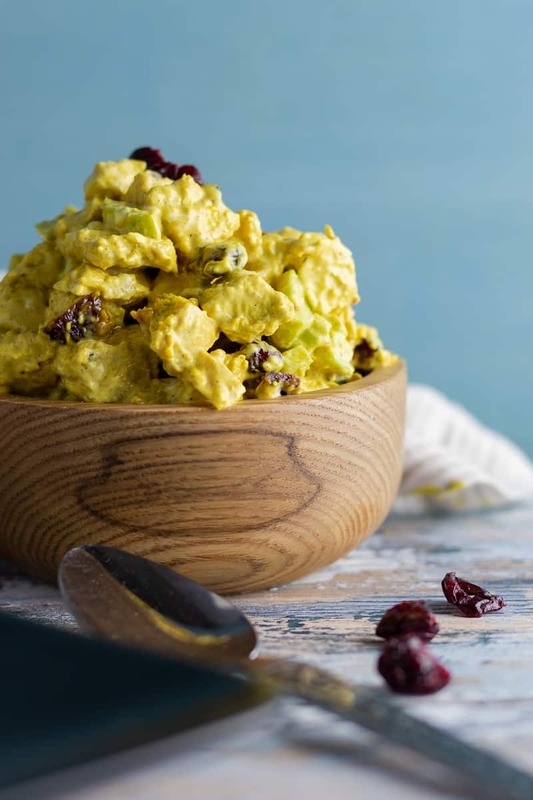 Sweet curry adds an Indian inspired kick to classic chicken salad, making this a great twist on an old favorite. I fell in love with curry chicken salad when I tried it from a small Santa Barbara area sandwich chain called Panino’s. We would order office takeout from them every few weeks, and it was one of the few days I’d treat myself and order out. One of my favorite orders was the curried chicken salad salad – a scoop some of their curried chicken salad on a bed of lettuce. It was delicious, simple, and perfect to enjoy on a picnic table outside overlooking the vineyard. That office did have an amazing view. Anyway, I found myself thinking about that salad the other day as the weather turned warmer and I imagined sitting outside for lunch once again. I am incredibly grateful for the flexibility this blog provides me in this season of life, but sometimes I do miss an office. My major issue with most chicken salad recipes is that they feel heavy. Chicken salad is a warm weather food for me, or maybe fall weather, and the last thing I want is something heavy. Even though there is mayonnaise in the salad, I want it to feel refreshing, you know? Creamy and refreshing. One of the ways I keep this chicken salad light, and add a twist to a traditional chicken salad recipe, is by using jicama, apples, or celery! I know most chicken salads have a crunchy component, and that’s probably why. 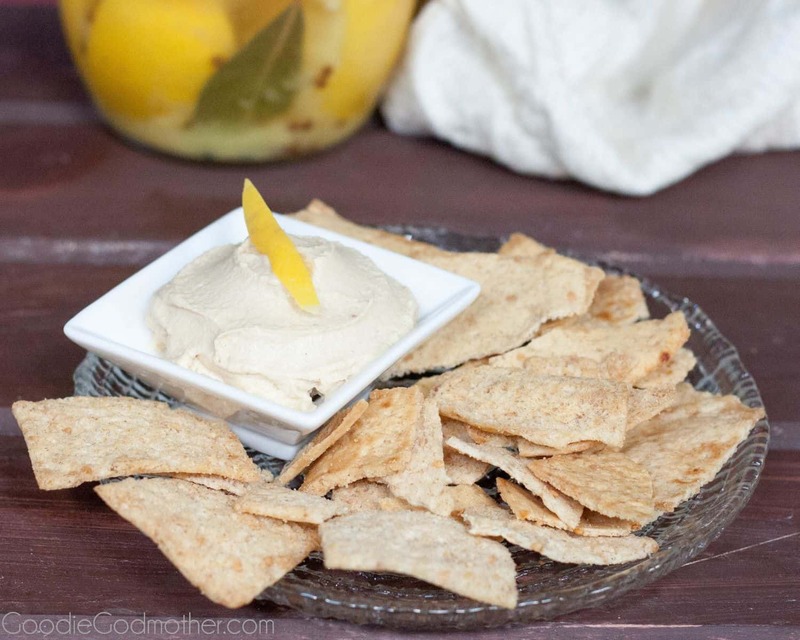 Celery is a classic, but jicama has to be one of my personal favorite choices for this particular recipe. I use whatever I happen to have on hand though, so don’t feel obligated to go out and buy something special if you have everything else on hand. When you shop for curry, be sure to pick up the sweet curry. Usually it’s labeled as just “curry powder”. Depending on your store, it may be next to a hot curry, and that’s probably not the one you want for this recipe. Why is this important? The biggest impact on the overall flavor comes from your choice of curry powder. Curry powders are a mix of other spices to make a certain flavor profile. This salad calls for an Indian curry powder, use the mild version and not the hot. 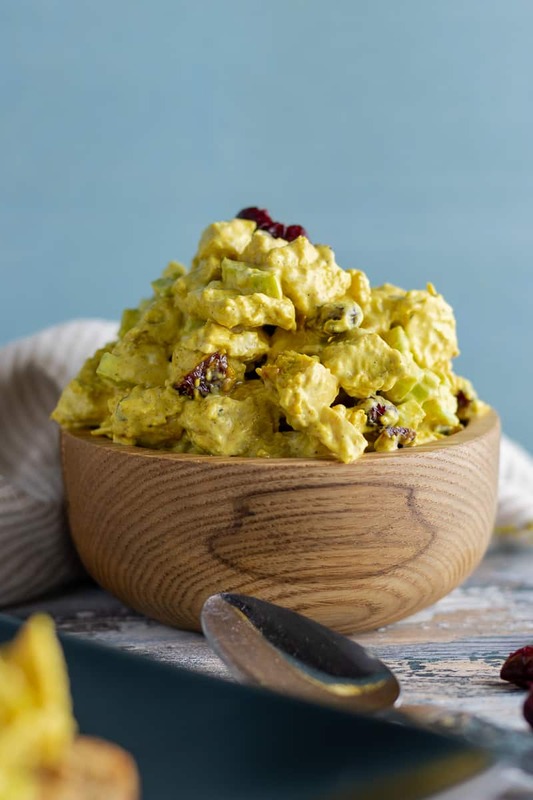 Depending on the brand, the strength of the curry flavor will vary, so feel free to adjust if necessary to add a little more oomph to your chicken salad. I included nuts as an optional addition for you in the recipe card. I don’t always use them, but they do add a nice crunch if you would like. Feel free to use either toasted pine nuts or toasted slivered almonds. I’ve made this salad with both and it tastes excellent either way. You can also skip them altogether and add a little extra jicama/apple/celery, or maybe some pepitas or sunflower seeds (yum!). As with most chicken salads, you’ll get the best flavor if you let them rest an hour or so in the refrigerator before serving. 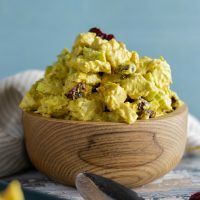 Curry chicken salad is a great way to use up leftover chicken, especially since it keeps a few days. Make in advance using a rotisserie chicken and have lunches ready for the week! 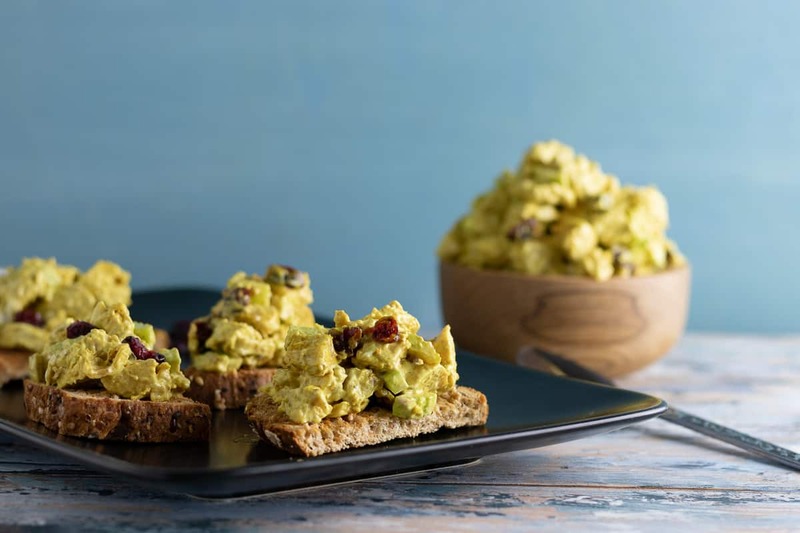 Easy curried chicken salad recipe is great for everything from salads to sandwiches and easy party appetizers. Combine the chicken, cranberries, almonds, and jicama in a large mixing bowl. In a smaller bowl, whisk together the mayo, mustard, curry, and honey. Stir the dressing into the chicken and mix well to coat evenly. Adjust seasonings if desired. 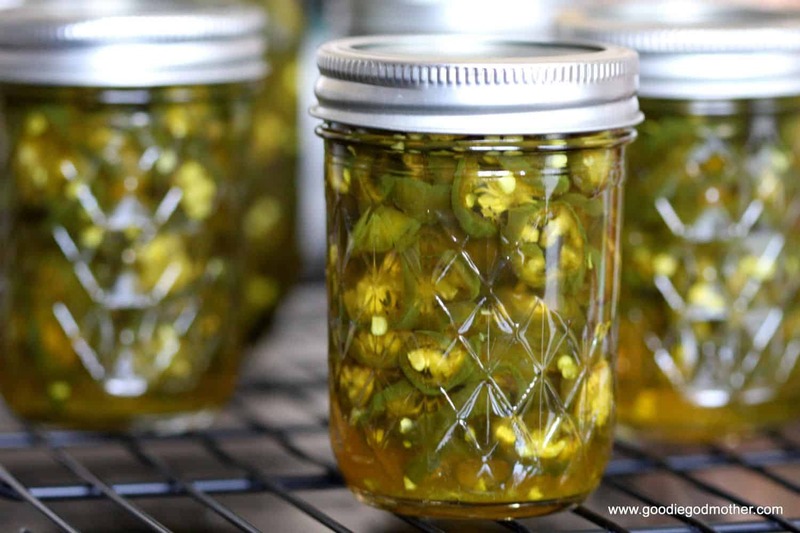 Cover and refrigerate at least two hours before serving to allow the flavors to blend. *I have made this recipe using all of these at various points and all are delicious. Use what you prefer! Swapping out chicken for turkey to use up the rest of my leftovers–yum!! I’ve just started getting around to chicken salad. Yours sounds awesome though, I love that you used jicama. I love curry chicken salad!!! It is sooooo yummy!!!! Superb, this is really reminiscent of a Coronation Chicken but bought up to date with some new flavours, love it, sounds wonderful! Love this! Perfect for people who don’t want to stuff their pantry with tons of spices they may never use again! This is a very interesting concept. I’ve never heard of anything like it! It reminds me of a pate. 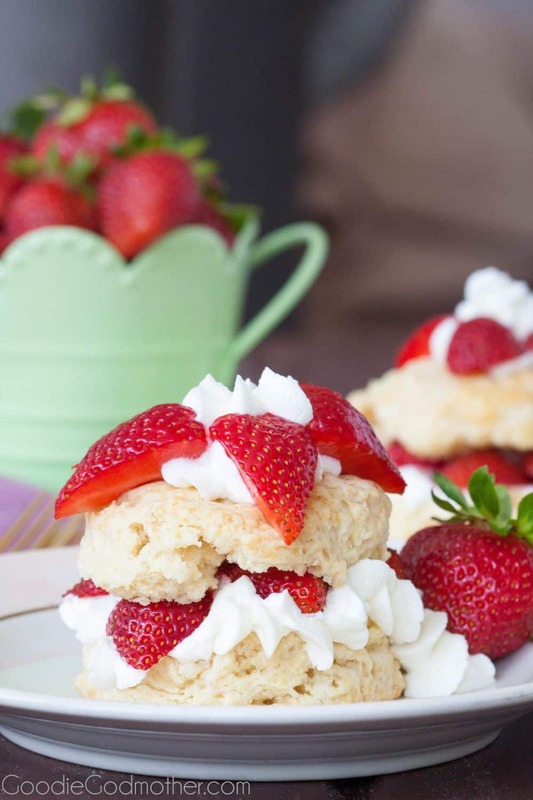 Looks yummy! It kind of does look like a pate, doesn’t it? I blame that on the mixer shredding. I think it works well that fine for a sandwich or on crackers, but I plan to continue hand-pulling/chopping for salad topping. Oh my gracious. These look amazing! 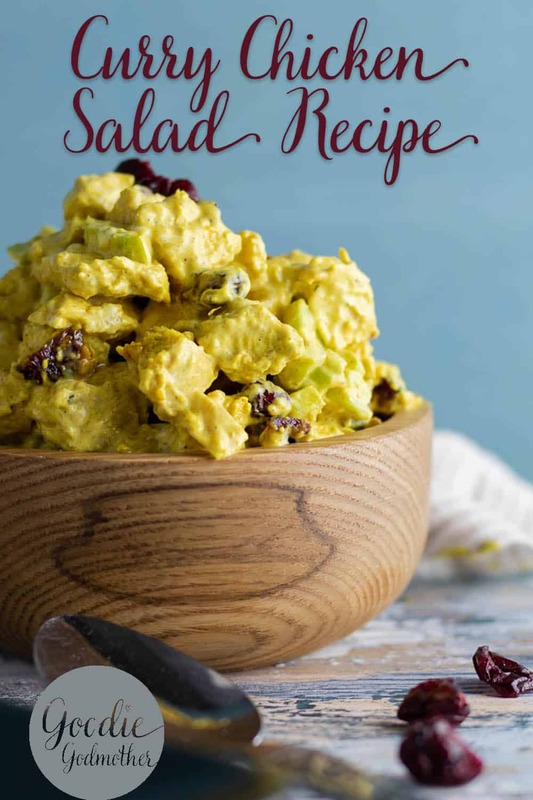 I love chicken salad and have been wanting to try curry for awhile!